Let us know of any questions and to book an appointment to have us assess the health of your child's spine. A study in the medical journal Spine found a strong association between chiropractic care and the avoidance of lumbar spine surgery. The American Chiropractic Association is encouraged by this and other recent research supporting chiropractic’s conservative, less costly approach to low-back pain. Two additional studies reinforce ACA’s longstanding position that health care providers should start with conservative approaches to treatment, such as the services provided by doctors of chiropractic, before guiding their patients to less conservative alternatives. Such an approach benefits patients and cuts health care spending-especially for a condition as common as low-back pain. 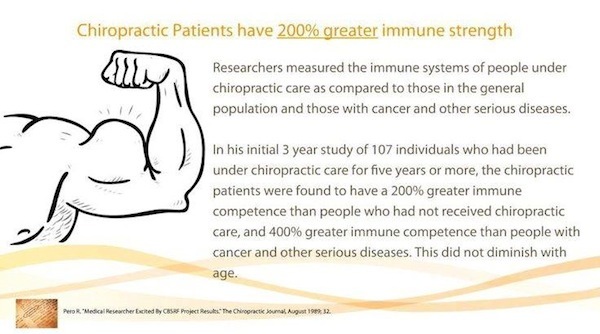 "As governments and health systems around the globe search for answers to complicated health challenges such as rising numbers of chronically ill and disabled patients and runaway costs, research is finally demonstrating what the Chiropractic profession has promoted for years: that caring for patients with conservative treatments first, before moving on to less conservative options or unnecessary drugs and surgery, is a sensible and cost-effective strategy," said ACA president Keith Overland, DC. Boys with ADHD may be at risk for obesity later in life, according to a new study. Researchers at NYU's Langone Medical Center have been following more than 200 kids for four decades. They found those who had ADHD in their early years were twice as likely to be obese at age 41. "This study was started by Dr. Rachel Klein in 1970, and it involved a number of waves of evaluation, during which the results of having hyperactivity in childhood were assessed," said Dr. F. Xavier Castellanos, a professor of child and adolescent psychiatry at NYU and one of the study authors. Other experts say while this correlation appears to be strong, more research needs to be done. "The sample size was relatively small, and they only looked at white men," said CNN.com expert Dr. Jennifer Shu, a spokeswoman for the American Academy of Pediatrics. "That said, their conclusion summed it up nicely: people need to be aware that having childhood ADHD may put them at risk for later obesity." Did you know Chiropractic adjustments have been shown to help those with ADHD? More to come in the next newsletter.